29 maj, 2009 Säg något! 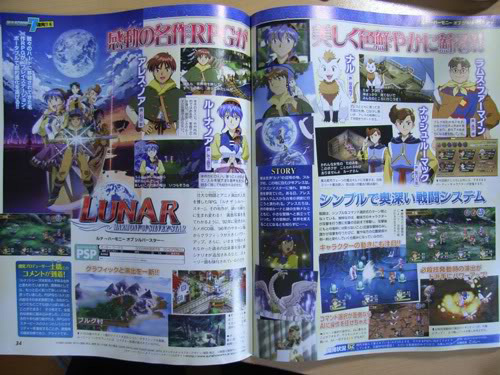 XSEED Games has just announced that they are releasing the PSP remake of Lunar Silver Star Story in the US! This is the most awesome news I’ve heard in awhile! Honestly I’m super hyped. Lunar Silver Star Story Complete for Playstation 1 was the game that made me love RPGs. So of course it holds a special place in my heart. I love that game, I truly do. And I’m getting this remake ASAP. I must have it.